Really Good Comics: The End is... when? 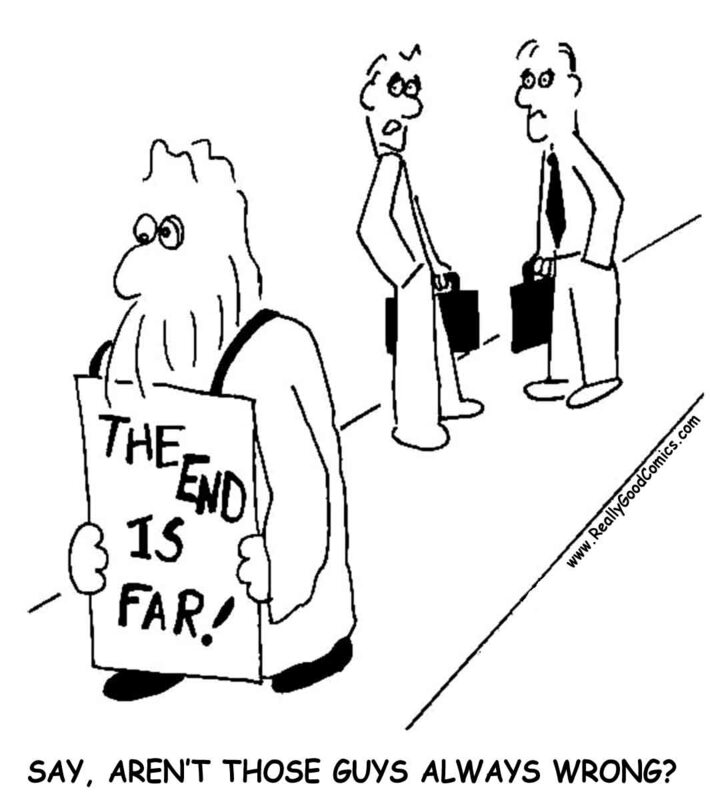 The "end-of-the-world sandwich-board" guy is a classic character featured in countless cartoons, by countless cartoonists. But I think I may still have managed to put an original spin on the end-of-the-world chap.